In a decision that will benefit thousands of people in the country, the National Pharmaceutical Pricing Authority (NPPA) has finally put a ceiling on prices of cardiac stent—a small mesh tube that's used to treat narrow or weak arteries. Cardiac stents are often used as part of a percutaneous coronary intervention (PCI), a procedure that restores blood flow through narrow or blocked arteries. 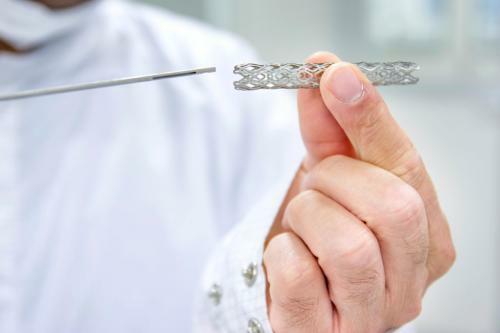 In a notification published on Tuesday, the authority set the price of bare metal stent to Rs 7,260 and drug eluting stents (DES) including metallic DES and bioresorbable vascular scaffold (BVS)/ biodegradable stents to Rs 29,600. Earlier, Ministry of Health and Family Welfare had notified the inclusion of stents in the list of essential medicine on July 19, 2016. This decision came after the Delhi High Court asked the government to take action responding to a public interest litigation (PIL) filed by advocate Birendra Sangwan. The PIL was seeking price control of stents. The whooping prices of stent being charged by hospitals have been major concern for the public health campaigners and several court cases have been filed by them. As per the data submitted by companies to the NPPA, the average cost of drug eluting stent for domestic companies is around Rs 8,000 but it is sold to patients for Rs 24,000 to Rs 1.5 lakh. Similarly, the cost of stents charged to patients by hospitals is 10 to 15 times the base price to reap maximum profit. In some cases, hospitals’ share in profits goes to 650 per cent. A Rajya Sabha committee has authorised NPPA to conduct a study on the exorbitant cardiac stent prices. NPPA, in its report, found that most of the stents in the country are imported. In the absence of price regulation for stents, there is extreme overcharging when compared to their manufacturing cost. Although a comparison of few brands across the countries show that there is not much difference in price when converted to US dollars, but in terms of affordability, the prices of stents are very high compared with UK and US, it has concluded.